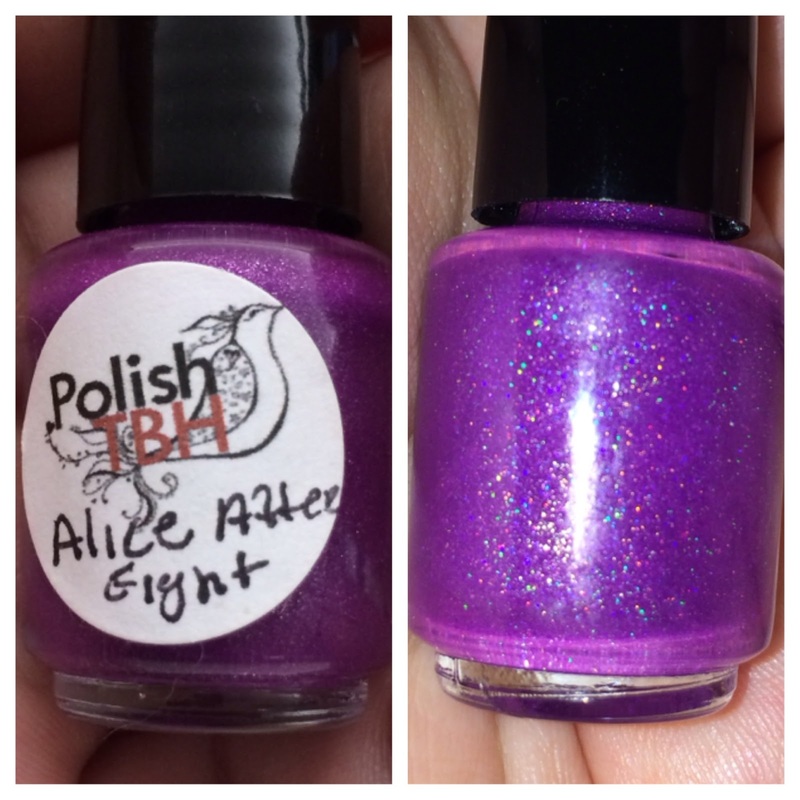 This is the 5th polish I am reviewing from Polish TBH. 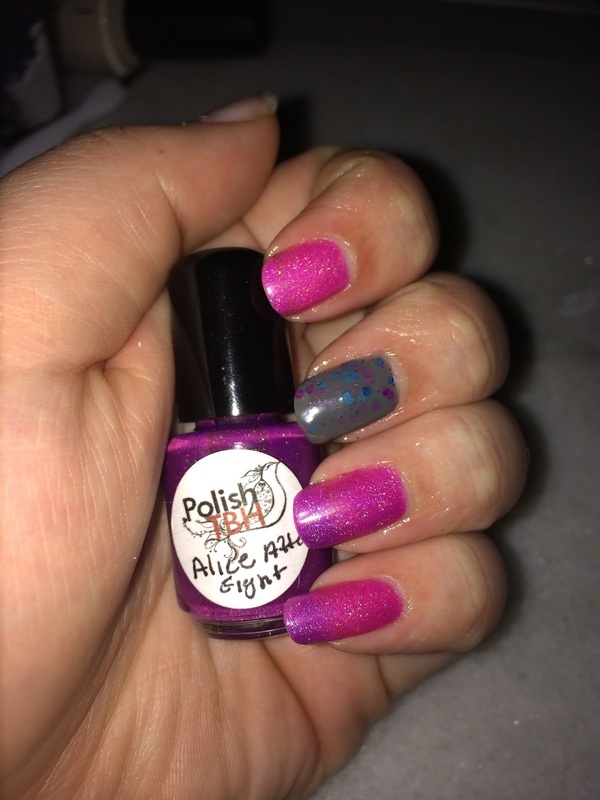 Of course I fell in love with this polish when I first saw it! 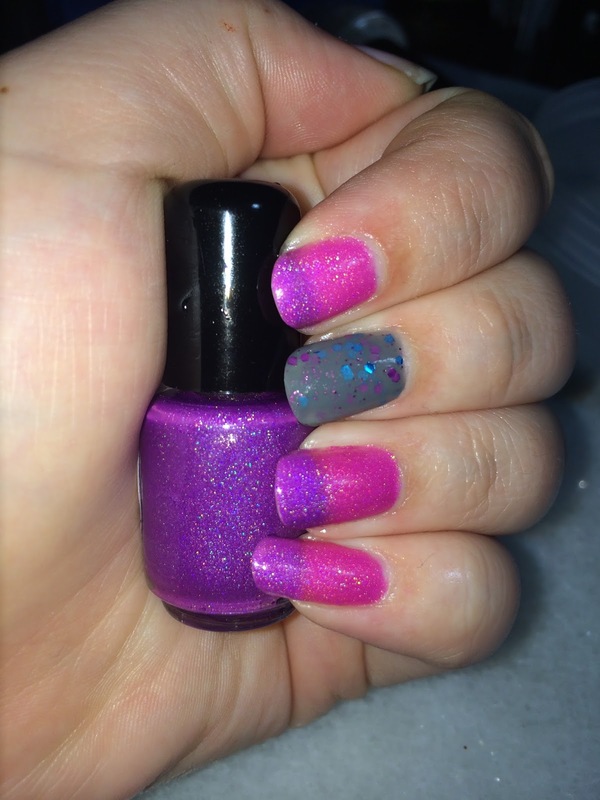 Its purple, holo, and glitter!!!! What I found after applying it amazed me as I was not expecting it. I noticed at first coat that this was a little streaky. Then I got the 2nd coat on and the streaky was gone and I was amazed but I did a 3rd just to be sure. I noticed something after coat 2. It wasnt the color it was in the bottle. In fact it was a pinkish and randomly splotched purple. I was delirious at this time as I had been sick for a few days and wasn't sleeping well so in my mind things weren't clicking. 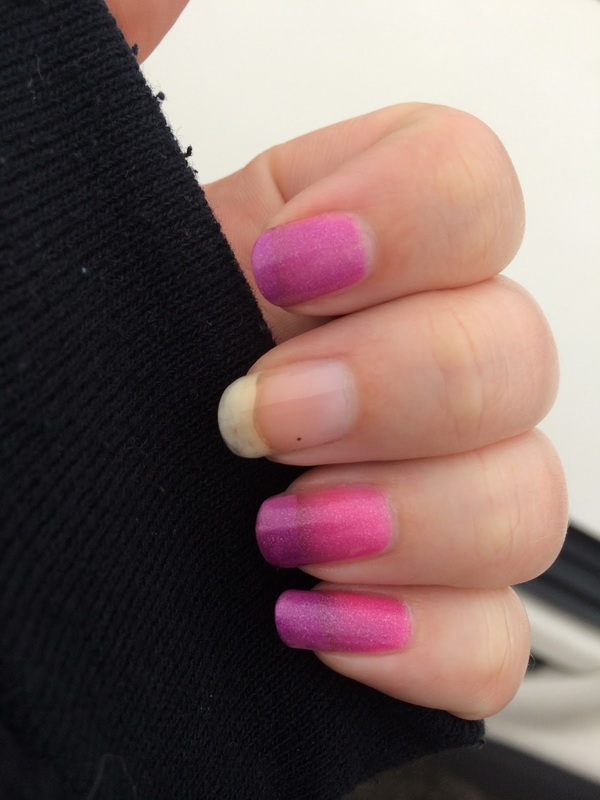 Then after coat 3 I noticed the tips were purple and the rest pink. Still thinking nothing of it I went to the bathroom and when I washed my hands was when it hit me. 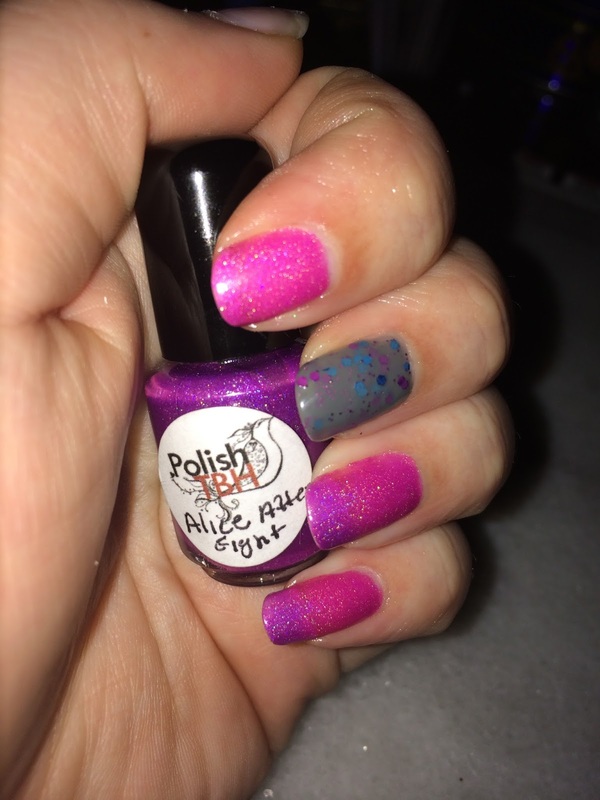 This wonderfully beautiful polish is a thermal! 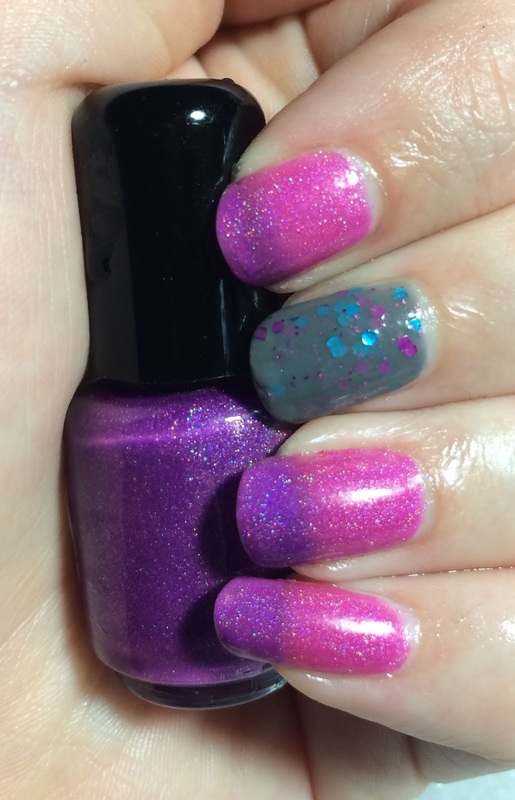 I am even more in love with this polish after discovering that its a thermal. 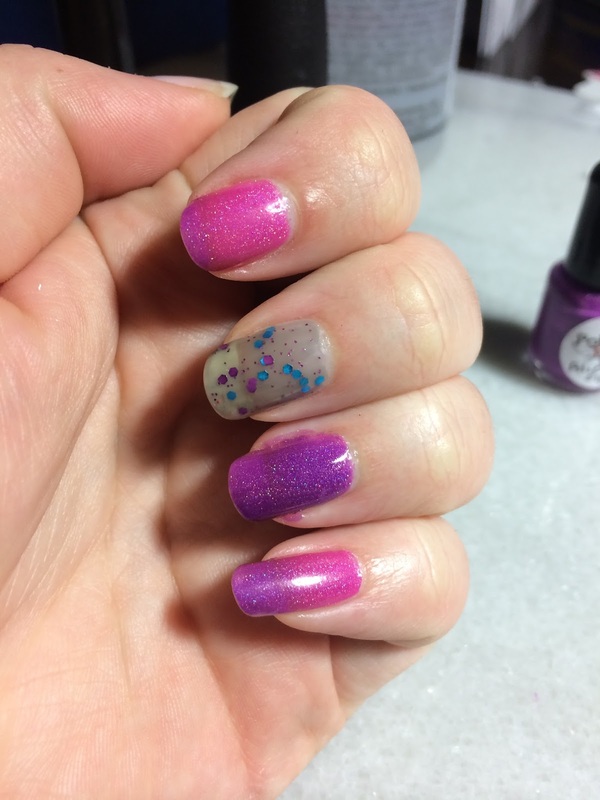 I love the colors of this polish and I love how it gives me that french tip look without the extra work. I just love the color! That purple is so pretty! I love that its thermal! When I first looked at the color I thought it was going to be glow in the dark.. But Thermal is even better!